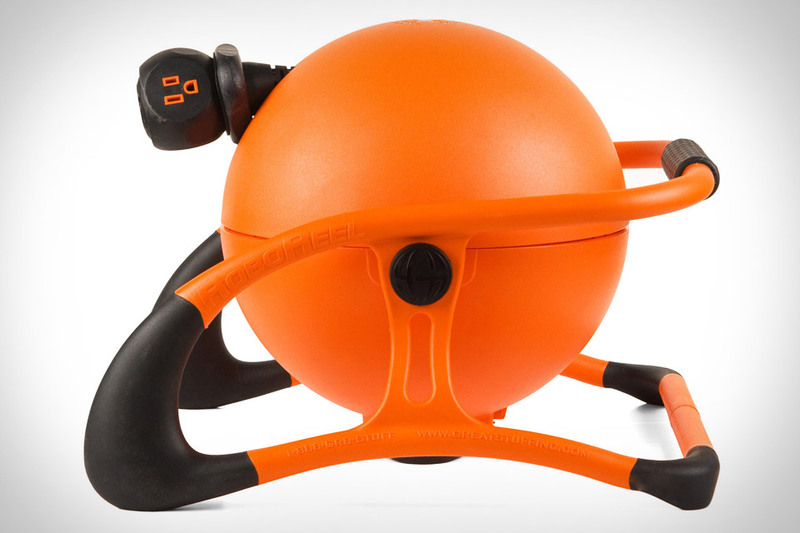 If you've ever been whacked by the end of an extension cord or cable that was automatically retracting, you'll appreciate RoboReels. Available in portable and ceiling-mounted versions, these intelligent 360 degree-rotating cord reels use a two-speed motorized retraction system that can be started from the base or the end of the cable, ensuring a smooth, safe return for the receptacle ball, which offers three outlets, a power on/off button, three LED indicator lights, and a retraction switch. Nothing makes a job more dull than a lack of background music, but unfortunately most job sites aren't really boombox-friendly. Luckily, the Bosch Power Box 360 isn't your average boombox. Inside its rugged aluminum and rubber roll case, the 360 packs full 360-degree speakers for all-around sound, a weather-sealed media bay for your iPod, a powered USB port for charging your cell phone, MP3 and WMA support for the SD card slot, external auxiliary ports, a built-in battery bay for either charging your tool batteries or powering the Power Box itself, an illuminated LCD display, and a remote control for cranking up the music while you crank up the saw. 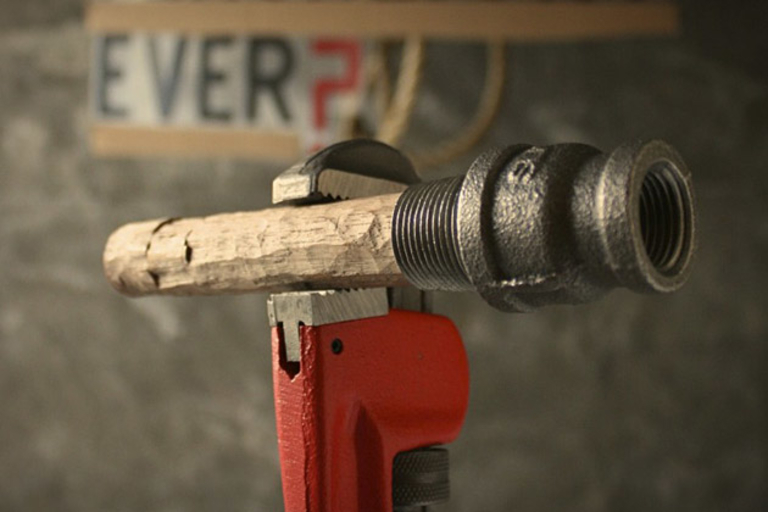 Some axes are meant to chop wood; others are designed to hack through steel. 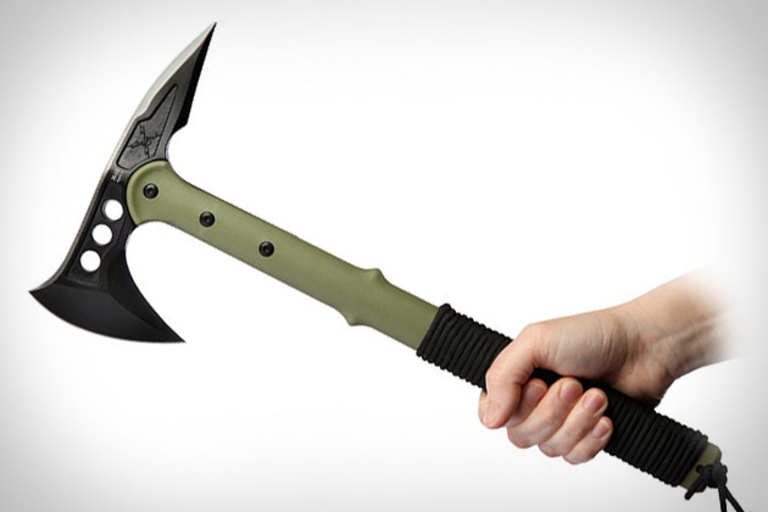 The M48 Ranger Hawk Axe ($60) is designed for silently annihilating the undead. It features a wide, upswept blade precision cast from stainless steel, a 30% fiberglass, nylon-reinforced handle with black nylon cord wrapping, and an included nylon sheath and compass. Target practice not included. 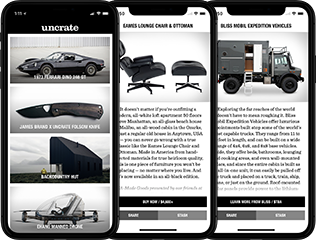 As the ongoing demolition/renovation project at the new Uncrate HQ has taught us, goggles aren't just for skiers — one errant nail, sharpened wood fragment, or cloud of scary, decades-old dust can leave you looking like a pirate. 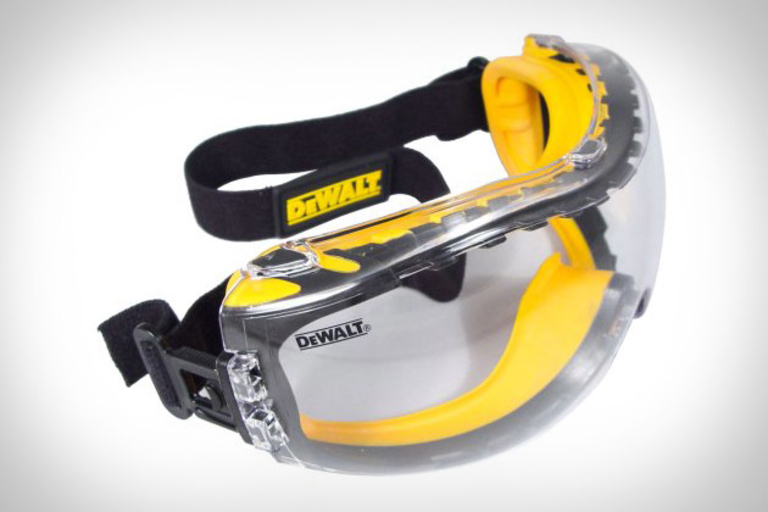 That's why we'll be sporting these DeWalt Concealer Safety Goggles ($11-$13). They offer built-in ventilation for added fog control, a dual-injected rubber seal for comfort, a rugged polycarbonate lens for protection, and your choice of clear or tinted lenses. Keep your axe — or hammer, or travel tripod, or nearly any other 2-inch diameter tool — nearby with the Damn Yak Axe Holster ($36). Hand crafted from sturdy 12oz vegetable tanned tooling leather, this hearty holster features flat brass rivets, a para-cord keeper strap with a ITW Nexus Eclipse cord lock, and Obenauf's LP treatment for outstanding weather protection. You might drive a Prius, but that doesn't mean you should be rolling down the road without the Trucker's Friend ($50). This all-purpose, all-in-one tool incorporates an axe, spanner, hammer, nail puller, tire chain hook, pry bar, and lever into a single, rugged 21-inch body. Mesh hat and Big Gulp not included. What would make a flashlight the best ever? Waterproofing? Cool materials? LED lights? Killer battery life? Well, the Best Flashlight Ever ($70) covers all those bases. Based on a Streamlight LED core, it features a hand carved wooden handle, a threaded steel head that adds tons of versatility, and cleverly placed o-rings for waterproofiness.